In yeast infections such as those due to candida, the fungal cells are individual and separate after cell division by a process called budding. In systemic, or deep, fungal infections subcutaneous on deep visceral structures are attacked. However skin involvement can also occur following blood stream dissemination and such lesions may provide a clue to the analyze. These types of skin infections are develop in damp areas of the body, such as the feet or armpit. Fungal infections usually itch. Some lesions, usually those on the trunk, have a prominent scaling margin with apparent clearing in the centre. Children: below the age of puberty are susceptible to scalp ringworm and anthropophilic fungi (from humans) have become common in some inner city areas. They can also be infected with zoophilic fungi (from animals), particularly cattle, dogs, and cats. Cattle ringworm can cause an intense inflammatory response in children, producing a kerion. They rarely develop anthropophilic fungal infection. Adults: From adolescence onwards infection of the feet is a common occurrence. 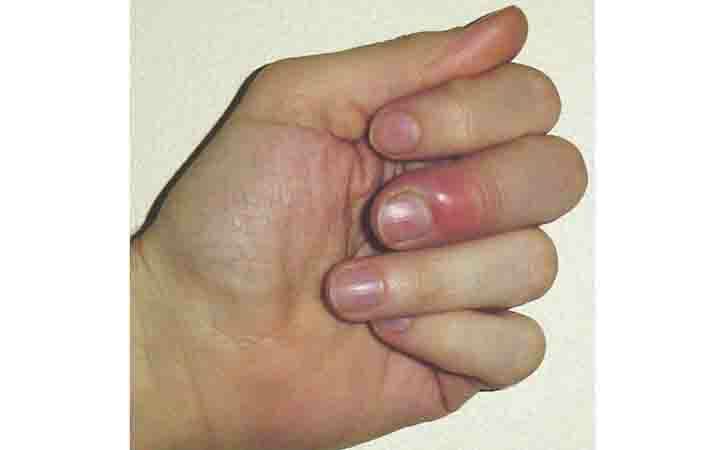 Tinea cruris in the groin is seen mainly in men and fungal nail infections (onychomycosis) have become particularly common. Body chemistry and lifestyle can increase the risk of a fungal infection. For example, you may experience multiple bouts of athlete’s foot if you’re a runner or if you sweat a lot. Fungi often grow in warm, moist environments. Wearing sweaty or wet clothes is a risk factor for skin infections. A break or cut in the skin may allow bacteria to get into the deeper layers of the skin. Dermatophytes invade keratin only, and the inflammation they cause is due to metabolic products of the fungus or to delayed hypersensitivity. In general, zoophilic fungi (those transmitted to humans by animals) cause a more severe inflammation than anthropophilic ones (spread from person to person). You can use antifungal sprays or creams to treat a fungal skin infection. If your condition doesn’t improve, ask a doctor about prescription oral or topical creams. Apply cold compresses to skin several times a day to reduce itching and inflammation. Take antihistamines to decrease itching. If you have any confusion about analyze, then go to a doctor. Not improved after use tropical antifungal medication, consult with a doctor. Before use oral medication, you must consult with a doctor.